I had never made a tomato pie before, and frankly, the idea kinda confused me (the woes of growing up in the Midwest). From my understanding, it was basically just a bunch of tomatoes thrown into a crust and topped with a ton of mayo and cheese — it sounded weird. If you aren't taking advantage of avocado's creamy texture for pasta purposes, you're doing your summer wrong. 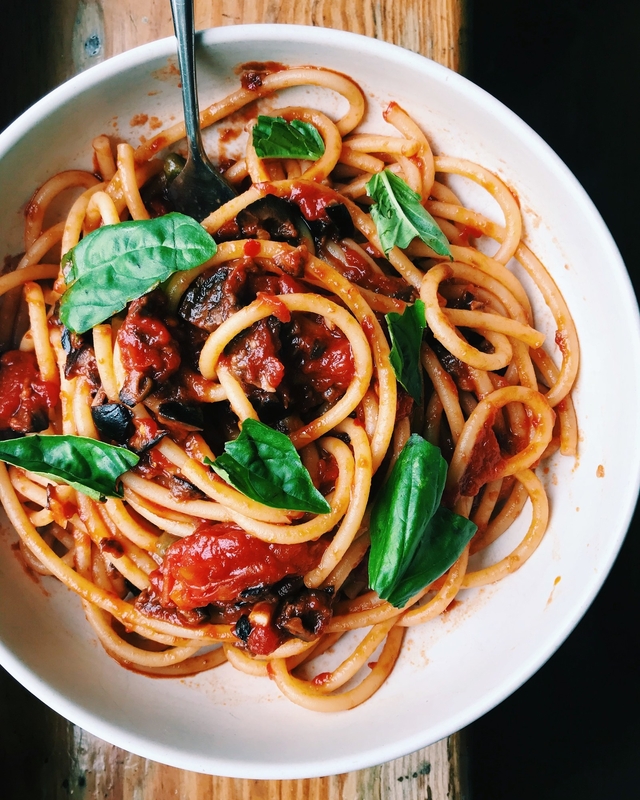 This recipe has become my comfort food ride-or-die when I want to pig out a little on a pasta dish, but also do it ~mindfully~ without the usual sauce suspects of butter and cream. Apricots are some of my favorite summer fruits and I welcome any opportunity to stuff my face with them. 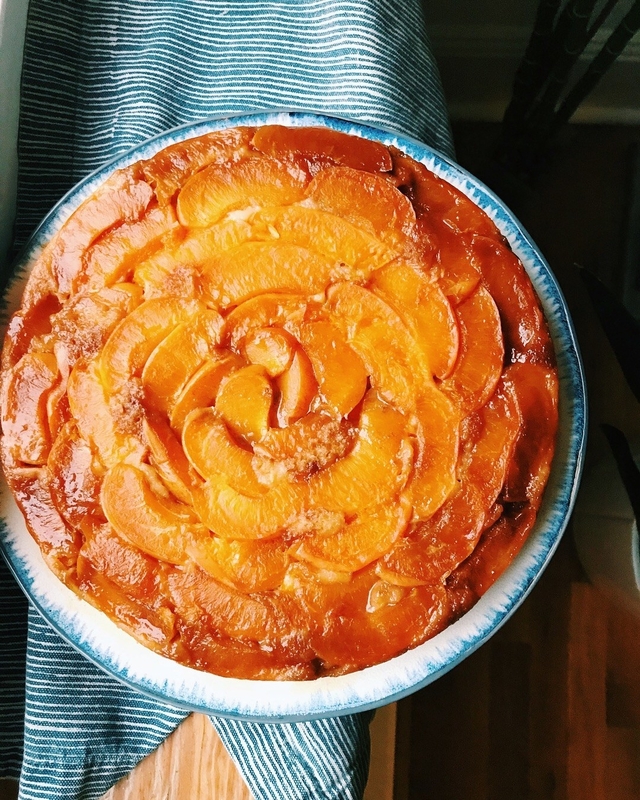 So when I saw this upside-down apricot cake in Julia Turshen's cookbook, I heard its call loud and clear. Although it's a skillet cake, I made mine in a cake pan. But I stuck to her instructions for the rest of the (very straightforward) process. I cannot tell you how many times I've seen a picture of this recipe — AKA the cover star of Yotam Ottolenghi's cookbook Plenty — yet I had never made it myself. Let me tell you, that was a mistake. The recipe is super simple, just a few ingredients casually thrown together to make something that's both rustic and fancy. It's the season where squash blossoms are everywhere and I couldn't help myself when I saw them at my local farmers market. 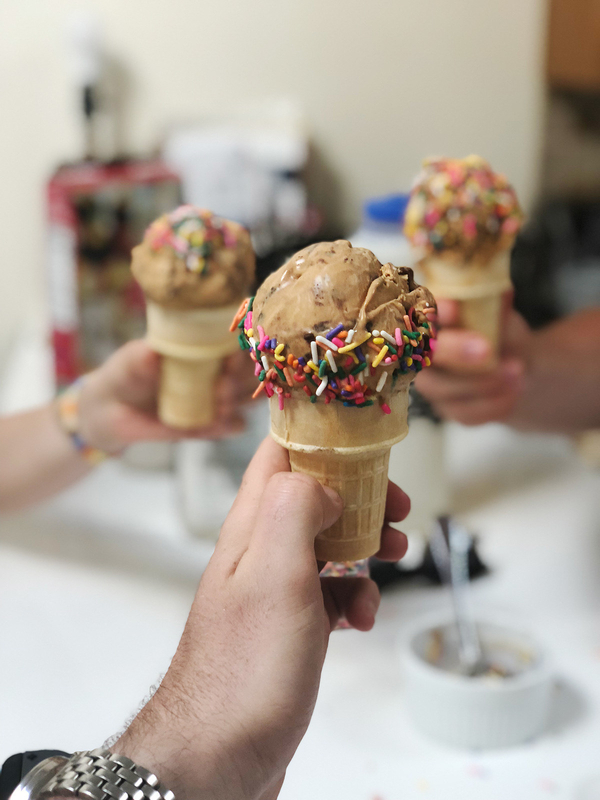 I love making homemade ice cream, and this has to be one of my favorites. Typically I find salted caramel ice cream to be a bit too sweet, so I added an espresso fudge swirl* to this to cut some of that sweetness with the bitterness of dark chocolate and espresso. It was so good. *To make the fudge, add 1 tbsp espresso powder and 3/4 cup dark chocolate chips to 1/2 cup very hot heavy cream (I microwaved it for about one minute). 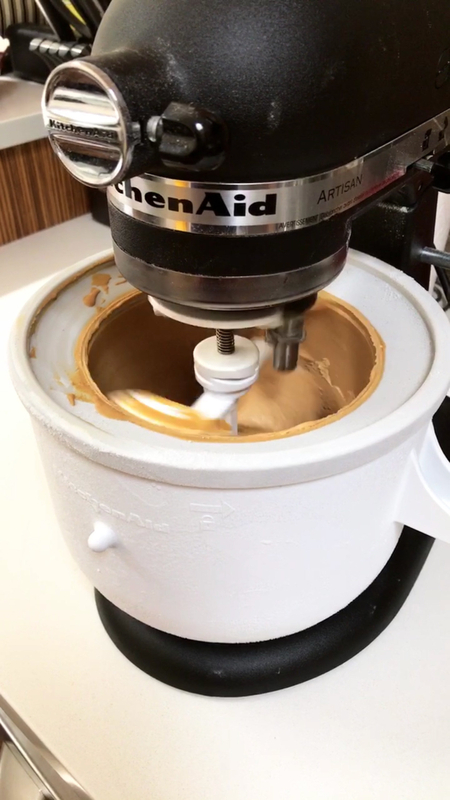 Stir until smooth and then cool before layering over the ice cream when you transfer from the ice cream maker. Let me start by admitting that I don't know how to make biscuits. I'm a bad Midwesterner and I literally don't know where to begin. There are just so many variables, techniques, and processes that it legit overwhelms me — but I decided I must learn. This recipe was the first recipe of my biscuit-making journey. It was pretty simple, just a few ingredients, and came together in no time. To make the layers, you take your dough, cut it into four pieces, and stack them on top of each other. When you roll it out again, all of the butter layers laminate it and give you those beautiful, flaky layers. I brushed mine with butter and salt and was pretty darn happy with the results. 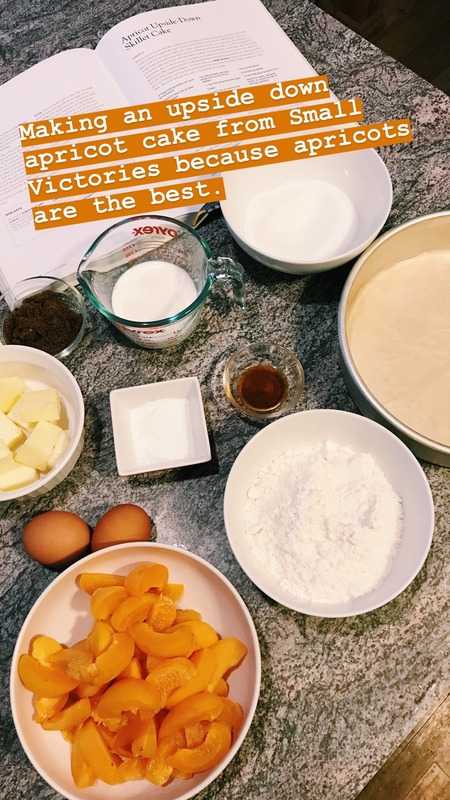 A friend of mine made this recipe and posted a picture on Instagram, and it looked so good that I decided to make it the very next day. It's not the quickest recipe. 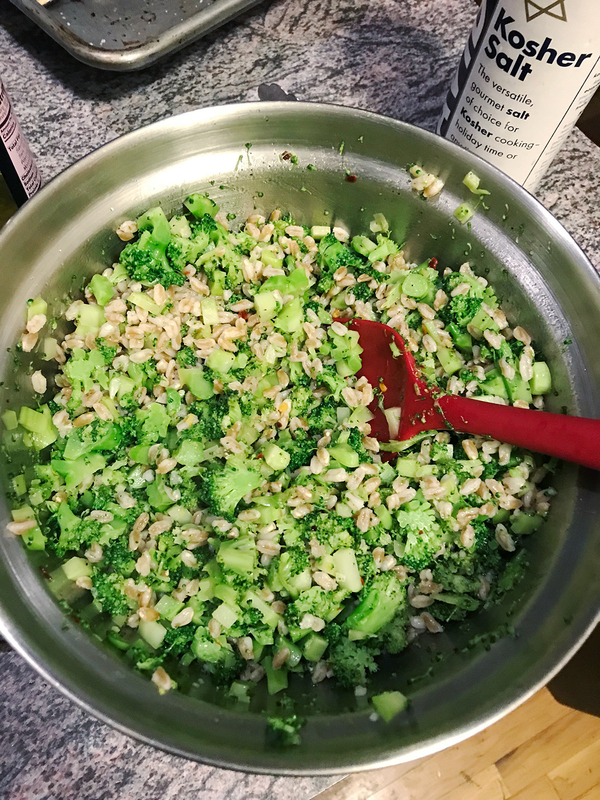 You have to par-boil the broccoli, cook the farro, chop the broccoli and then sauté it with some garlic, pepper flakes, and lemon zest. You then mix it all up in a bowl and top it with a lot of grated Parmesan. It probably took me about 45 minute to an hour to make it but it was so worth it. 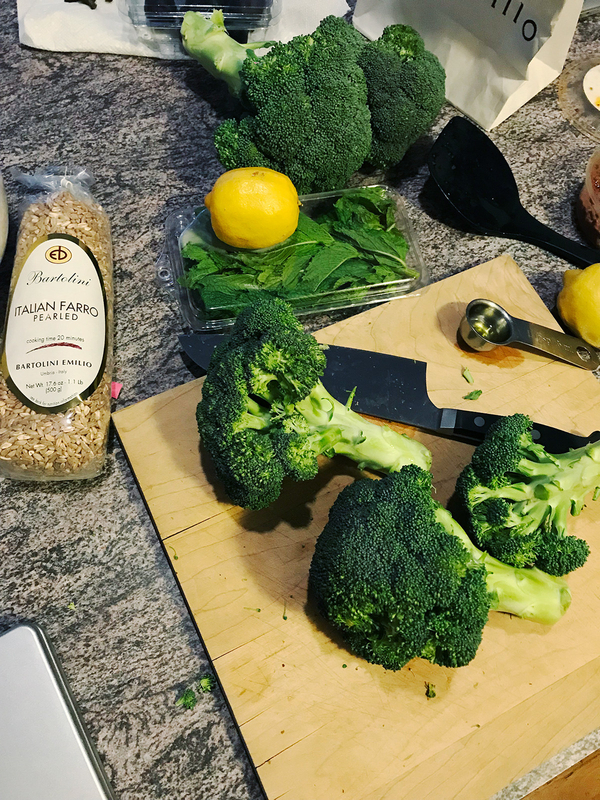 The garlic and lemon flavors are delicious but what makes this dish extra special is the metric ton of Parmesan you can put on top. 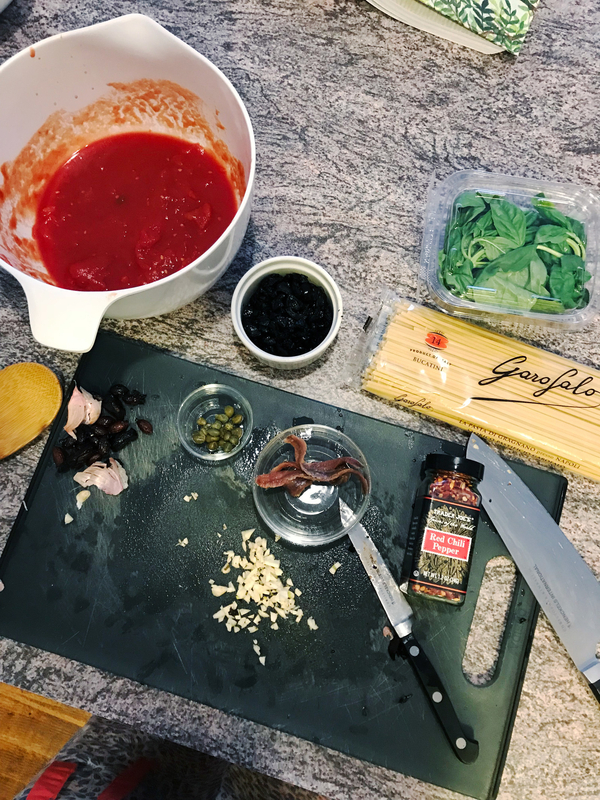 If you read food blogs, chances are you've ended up on What's Gabby Cooking — and if you follow cookbooks (I'm essentially just describing myself at this point) you know she recently came out with one. Her book has sat on my desk for a while now, and the cover has a stunning tomato tart on it. After weeks of saying I was going to make it, I finally did — and let me tell you, it was totally worth it. Although the tart looks pretty complicated, it's actually quite simple. The only thing you have to cook is the crust, then everything else is just tossed together and thrown in. 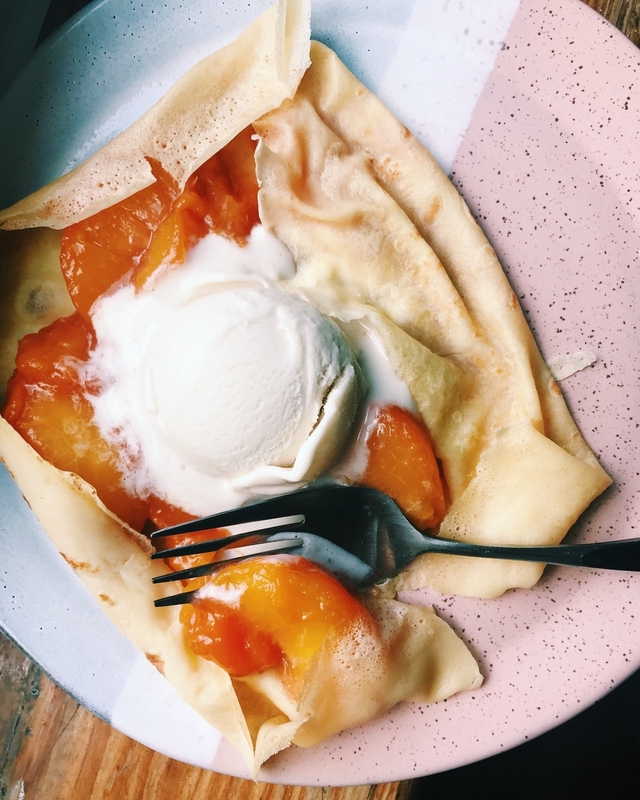 Like many French people, crêpes were one of the first things I learned how to cook and I've been making them for as long as I remember. Throughout the years, I've tried many recipes and learned some very useful tips here and there. 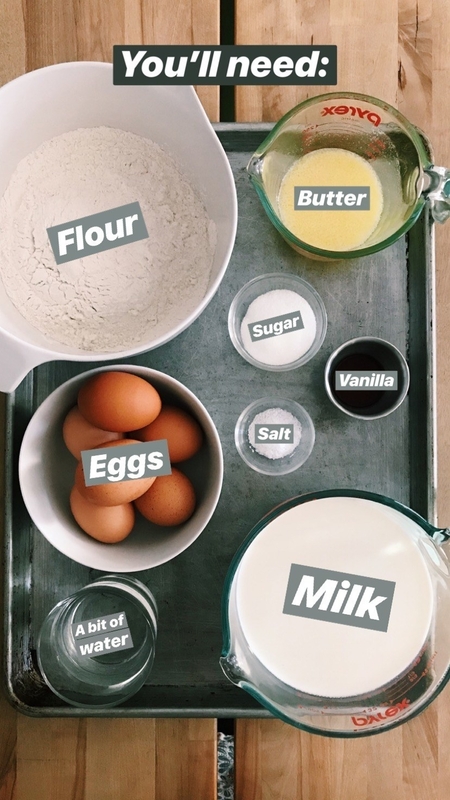 Since I moved to the US, I've seen so many crimes committed against crêpes that I finally decided to share my recipe and tips in a step-by-step tutorial on my Instagram. This is not a short process. Prepping the batter correctly takes some effort. Then you then need to let the batter rest for at least and hour, and then it's time to cook the crêpes, which is a pretty long a repetitive process in itself. But this is how you get the best crêpes and once you finally enjoy one with some Nutella, you know it's all been worth it. Find other recipes we've made and loved here.